Thats right, spirulina for pets! I mean, why not? With its extremely dense and healthy nutrient content (most nutrient dense natural food) it shouldn’t be selfishly used just for us humans. Dogs, cats, birds fish… It can be a healthy food for nearly all animals. Spirulina is better for your pet than store bought multi-vitamins. Spirulina is the best choice of natural multivitamin for pets. And its a better choice than processed and manufactured multivitamins. There are plenty of studies that provide evidence that synthetic vitamins don’t work. Its not that they don’t include the nutrients that they claim, but its because the nutrients aren’t absorbed into the body. There are many reasons whey nutrients might not be absorbed but it is particularly common in unnatural products, such as most of the store bought vitamins. Spirulina on the other hand, is very easily absorbed by the bodies of humans and pets alike. This is due to the very biology of spirulina, having no cellulose and a soft cell wall that is easily broken down during digestion. How can spirulina benefit your pets? Beta carotene – 24% more beta carotene content per weight than carrots! And these are just some of the numerous nutrients that can benefit your pet. The most notable nutrient that spirulina provides very well might be the Phycocyanin, listed above. This powerful antioxidant is still in need of more study, but is thought to benefit pets in many ways. Without antioxidants in the body, free-radicals would run rampant and literally destroy the body slowly. Free-radicals are unstable molecules that need to be stopped. They can damage many important organs, but the most noticeable being the skin. And hair follicles are part of the skin organ so free-radicals can damage your pets coat. Not only is Phycocyanin an antioxidant, but it is also an antiproliferative agent and is thought to be able to prevent cancer. Note: Spirulina is proven to prevent and even decrease cancer cells – Read Here– its just not known whether it is specifically Phycocyanin that is responsible. To learn more of the benefits of spirulina go to the menu at the top of the page. 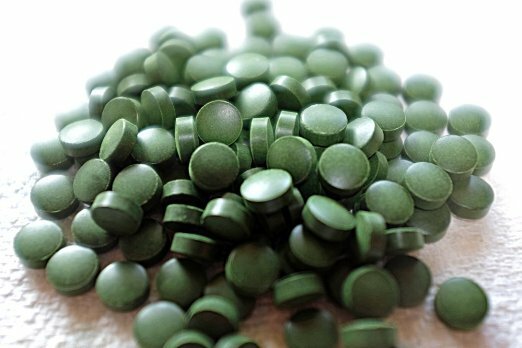 For dogs, cats, and other mammalian pets spirulina benefits them much in the same way it does people. If you are looking to buy a spirulina product for your pet, whether it be a dog, cat, bird, or fish, Dr. Mercola SpiruGreen Superfood for Pets is your best bet. Its a quality product and its not expensive. I would have never guessed that spirulina would actually be good for your pet. And seeing is how my sister recently got a new dog, and I’m going to share this information with her so she knows about the wonderful nutrional benefits of spirulina, like the antioxidant Phycocyanin. Learn something new every day. Thanks again. You are welcome. I never had thought about giving spirulina to pets either. But I stumbled upon something about it online and soon after bought my dog some spirulina. Its an all around great food. This is great! I use different algaes Daily as a supplement for myself, and I will definitely recommend my friends with pets to check out this page for further info. I’m glad to hear you do too. Thanks ahead of time for spreading the word. I never ever thought about giving Spirulina to my pets. This article is very eye opening – my dogs are getting older and I am exploring ways to keep them healthy. Its a great way to keep your dogs as healthy as possible. It wasn’t all that long ago that I started feeding my dog spirulina. I had never thought of it before that either. Although I have heard about Spirulina, I did not really look into it. I wish I did! Now that I know how great it is, I think I’ll even take it myself too! Any idea if it is okay to give human’s Spirulina to my dog? Or if reverse, can I take pets’ spirulina? 😛 What about dosage? You could definitely give spirulina for humans to your dog and vice versa. But I would just be careful taking spirulina for dogs, because its probably not regulated for quality assurance as much. For a dog the dosage depends on the size of the dog. There have been animal studies that have tested spirulinas effects at 1g/kg dosages with no seen adverse effects. So you have a wide range to work with. If we take a 50 lb dog for example, even a 1 gram per day dose would be beneficial in some ways, but you could always up the dose of course. Wow I never thought of giving something like this to my pets, great idea! It’s amazing how many benefits there are to spirulina. Thanks for the tip! You are welcome Nathan. It is a great idea!